Well, I’ve finally delivered on part of a long time promise (zombies). 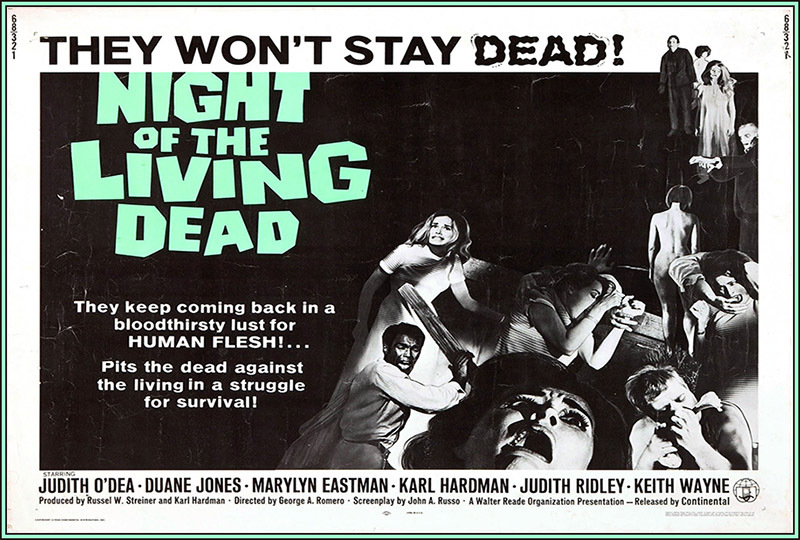 Part one of this new multi-part series aired this past Sunday night, focusing on Night of the Living Dead (1968) and the Remake (1990). More to follow in the coming weeks. For those who missed it, the show is available for download @ The Raw Archive Site. Part Two was on Dawn of the Dead. Part III will be on Day of the Dead. ~ by celticrebel on September 8, 2015.